Get ready to go bananas with BIG Wins! 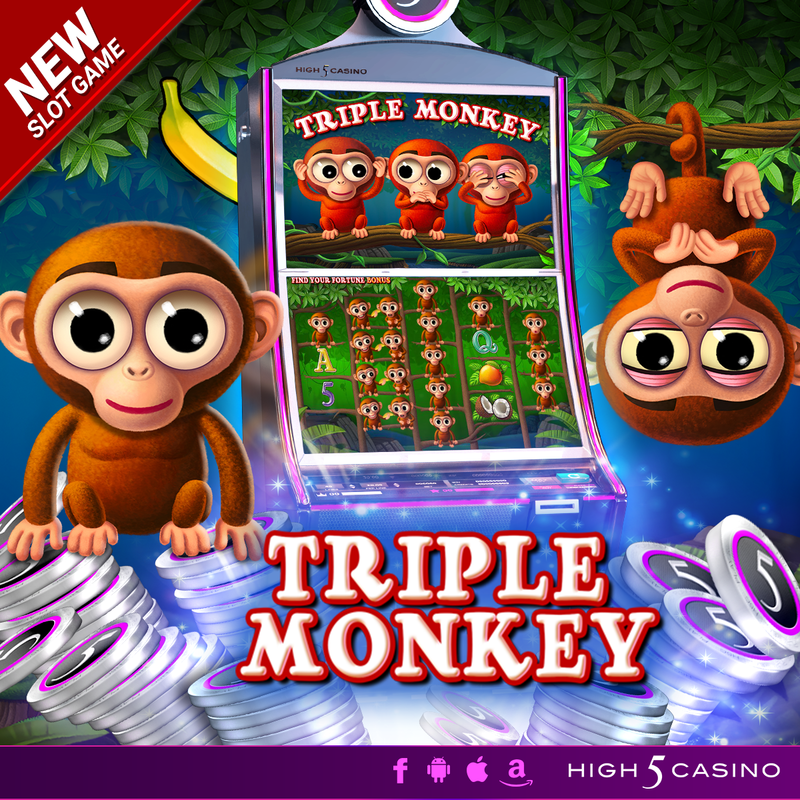 Triple Monkey, High 5 Casino’s 245 Game, is coming soon! In the depths of the jungle kingdom, a playful trio of monkeys awaits their perfect opportunity to be mischievous. Sitting atop the tallest tree, they keep a lookout for approaching visitors. Their motto may be “see no evil, hear no evil, speak no evil” but monkeying around is always welcomed! Join this lively bunch as they go bananas for jackpots! Check out the YouTube video below and get ready for some monkey Business! Are you ready to cause mischief with the monkeys? Comment in the conversation bubble located on the top right corner of your screen and let us know what you think! This entry was posted in game preview, Game Release, High 5 Casino, High 5 Games and tagged Android, Apple, Facebook, game preview, High 5 Blog, High 5 Casino, High 5 Casino Mobile, High 5 Games, iOS, iPad, iPhone, mobile gaming, slots, social gaming, Split Symbols, Triple Monkey, Triple Symbols by hoothigh5. Bookmark the permalink. Love those little monkey. great slot big payout to.